The nationally accepted business & rewards gift that never expires. When image is paramount, choose a brand that is internationally know and respected. 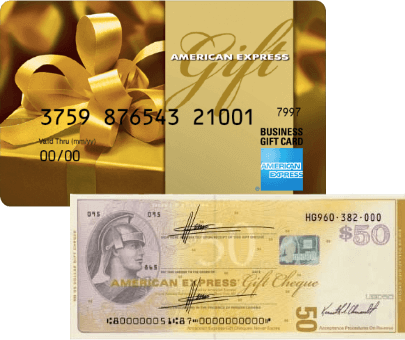 American Express Gift Card and Gift Cheque funds never expire! The classic design of American Express Gift Cards and Gift Cheques makes ordering easy. What makes American Express the right choice for your clients or employees?